The preparations for India's presence at the Thessaloniki International Fair (TIF) in September as an honoured country dominated a meeting between the regional governor, Apostolos Tzitzikostas, the chairman of Helexpo SA, Tasos Tzikas, the secretary of the Indian Trade Promotion Organisation, S.R. Sahoo, and the organisation's executive member V.P. Malik, ANA reports. 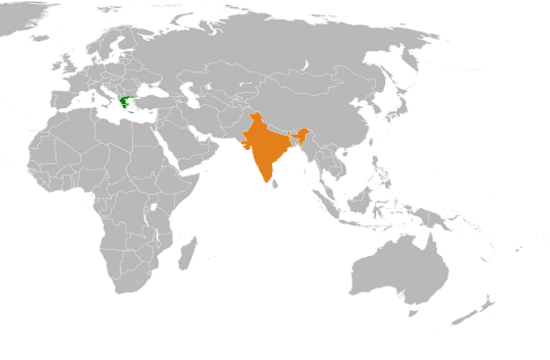 Tzitzikostas said it was very important that Thessaloniki will host its international fair with India as the honoured country and expressed the interest of the Region of Central Macedonia in signing a cooperation agreement with an Indian region, possibly that of New Delhi. Preparations for the participation of India as Honoured Country at the 84th TIF have reached fever pitch. President of TIF-Helexpo Mr Tasos Tzikas and the CEO Mr Kyriakos Pozrikidis travelled to India recently, in the framework of the delegation that was organised in cooperation with the Indian Embassy in Greece and the Greek Embassy in India. They carried out a series of meetings with Indian governmental and financial agents, as well as with Bollywood representatives who are interested in productions in Greece, specifically in Thessaloniki. Overall, over the four days the trip lasted, they had 14 meetings.